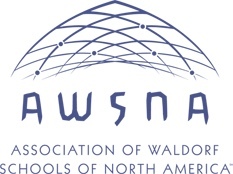 LL: Tell me a little about yourself and your connection with Tucson Waldorf School (TWS). CJ: I first discovered Waldorf online when my oldest daughter was about 3 years old. What really caught my eye was the art and the environment – the natural toys and the sense of deliberate and intentional use of materials for kids to play with. Going from home-schooling my kids to Waldorf seemed very natural. Now, my oldest is 18 and my other four kids are at TWS. LL: How would you characterize your relationship with TWS now? CJ: We (my family) give a lot of time and energy to the school, but TWS has given us so much more than I could have ever dreamed of for my kids and me, personally. It gives us space to be ourselves and speaks to some sort of alternative side of us. LL: Tell me about your first experience catering a TWS event. CJ: The first two years of fresh! were very different than what we have now. Initially, it was a celebration of Farmer John’s birthday and was held in the garden area. The 2nd year, Farmer John burned mesquite for 12 hours to make the perfect bed of coals for a pig roast. We stuffed and seasoned the pig – something I had never done before – and we cooked it underground. It was a really successful and fun event. So, I’ve helped with fresh! most of the last 6 or 7 years. LL: I remember that party – it was great and the pork was delicious! So, what has your experience with fresh! been like since you started cooking with Andy (Rouse) in 2016? CJ: Andy is the backbone and he really does everything for the fresh! catering. He’s very patient and listens to me, which is really nice. I think he knows that I’m comfortable making substitutions (like gluten-free, dairy-free, etc.) and he trusts my intuitive style of cooking. I’m looking forward to this year’s event and will be working hard to support Andy in the kitchen. LL: How did you become a chef? CJ: It’s funny, I don’t think of myself as a chef. I never had any formal training, but I do have a large family, so that’s where I gained my experience. I love good food and always want to make it myself. I was also a partner in a small catering business. We used excess or damaged vegetables from Farmer John and Emily’s Tucson Waldorf CSA, and people seemed to like what we made. LL: You talk a lot about nourishing others with the food you make. What are some of your dreams for the future? CJ: I would love for TWS to get a real kitchen so I could be the “lunch lady!” I also dream running some type of soup kitchen where anyone can get served a bowl of hot, delicious soup for free. Even though you can’t fix everything that is broken with people, you can at least nourish them with good food. I am also interested in developing food products specifically designed to improve treatment outcomes for cancer and other patients who can benefit from medical marijuana.